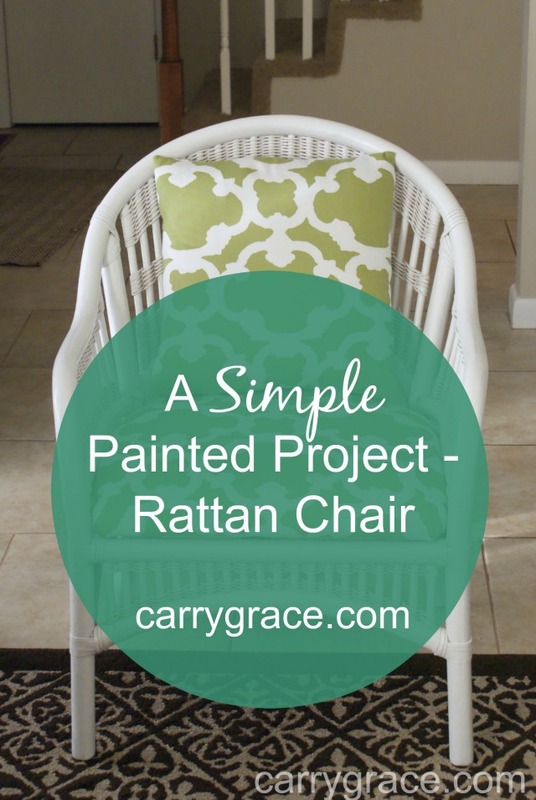 I found this set of rattan chairs on Craigslist a few years ago and recovered the seats. I went back and forth about painting them, so I decided to put it off until I was SURE that I wanted them painted. 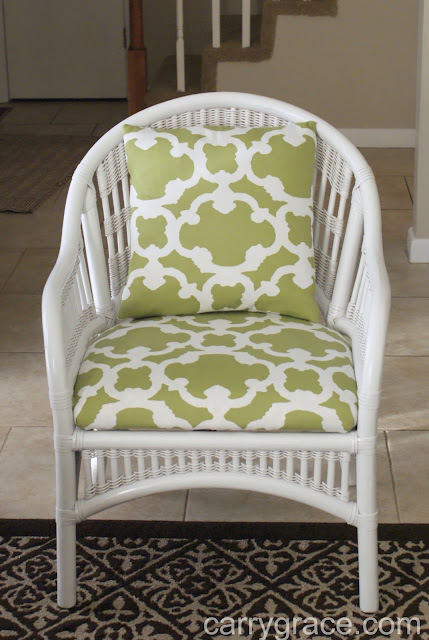 I finally decided that I wanted to paint the chair white. (The chairs are now separated. One in the master bedroom and one in the office.) That lead to needing to find fabric to recover the cushions. I happened to run across this green and white shower curtain (new in package) at Goodwill. It was originally from Target. The chair was very simple to to paint. I removed the cushions and then took it outside to spray paint. It took a good 2 cans of paint. I used several thin coats, let it dry, and then reattached the cushion. Have you spray painted any chairs recently?